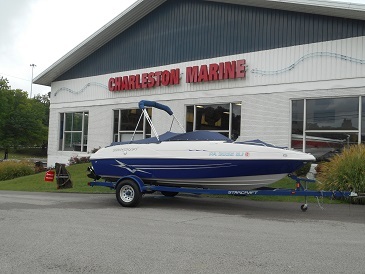 2010 Starcraft Limited Runabout 2018 I/O RE 2010 Starcraft Limited Runabout 2018 I/O RE, COME CHECK OUT THIS GREAT BARLEY USED STARCRAFT RUNABOUT. THIS BOAT IS SUPER CLEAN AND READY FOR THE WATER. WITH LESS THAN 50 HOURS ON IT YOU CAN'T BEAT IT. THIS BOAT IS EQUIPPED WITH A MERCRUISER 3.0L MPI I/O MOTOR WITH ALPHA DRIVE, COCKPIT AND BOW COVERS (SNAP ON), SNAP IN CARPET, SINGLE AXLE TRAILER WITH BRAKES. WHAT MORE COULD YOU ASK FOR IS A GREAT PREVIOUSLY ENJOYED BOAT. COME CHECK IT OUT TODAY AND GET ON THE WATER BEFORE SUMMER IS OVER! !